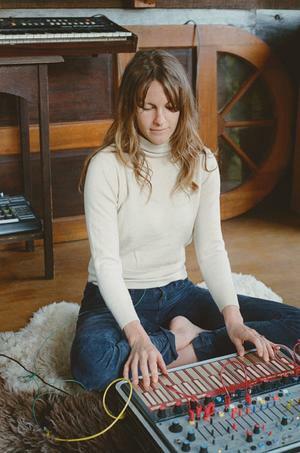 Kaitlyn Aurelia Smith’s formative years were spent communing with nature on Orcas Island in northwest Washington state, a place she describes as “one of the most magical and peaceful places I have ever been,” and her creative work continues to be inspired by the vitality and serenity of Orcas. Smith studied composition and sound engineering at Berklee College of Music, initially focusing on voice before switching to classical guitar and piano. She employed many of the skills she refined in college in her indie-folk band Ever Isles, but a fateful encounter with a neighbor who lent her a Buchla 100 had a profound effect on her. Mesmerized by the Buchla’s potential, she was so enamored with the process of making sounds with it that she abandoned the next Ever Isles album. Starting with rhythmic patterns and melodic pulses, she soon began sculpting lush and exciting worlds of sound.